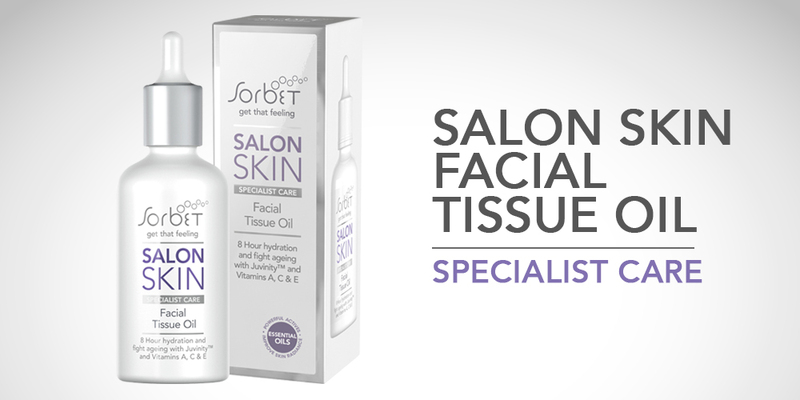 Meet our Sorbet Salon Skin Facial Tissue Oil or as she’s known around our Sorbet HQ -our ‘little dynamite’. She’s been given a 5-star rating on our website by our guests and one of the local beauty bloggers adds “I loved using this, it is really hydrating and fights ageing with Juvinity and includes essential oils of lemon, orange and bergamot. The lightweight oil absorbs quickly and does not leave skin overly oily – such a pleasure on the skin” Eloise Dryer.